Defending champion Stan Wawrinka and world number one Novak Djokovic will go head-to-head for a place in the Australian Open final on Friday. The pair meet at the tournament for a third year in succession, with both meetings ending in five-set epics. Each of those winners has gone on to lift the championship trophy. Britain's Andy Murray will face the winner in the men's final in the Rod Laver Arena on Sunday, having overcome Tomas Berdych in his semi-final. 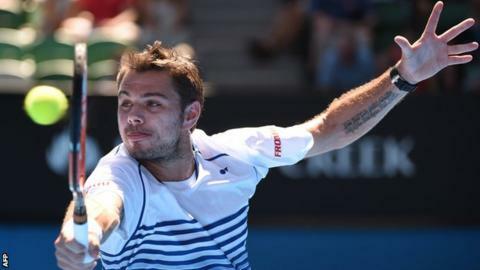 Djokovic is yet to drop a set, while Wawrinka has conceded just one - to Spaniard Guillermo Garcia-Lopez. Despite the world number one being without an Australian Open final victory since 2013, he does have a recent victory over the Swiss - prevailing 6-3 6-0 in the group stage of the season-ending World Tour Finals in London two months ago. Wawrinka's win in last year's final was the first to break the grand slam supremacy of Federer, Rafael Nadal, Djokovic and Murray, who had captured all the men's singles majors since Juan Martin del Potro's shock 2009 US Open win.